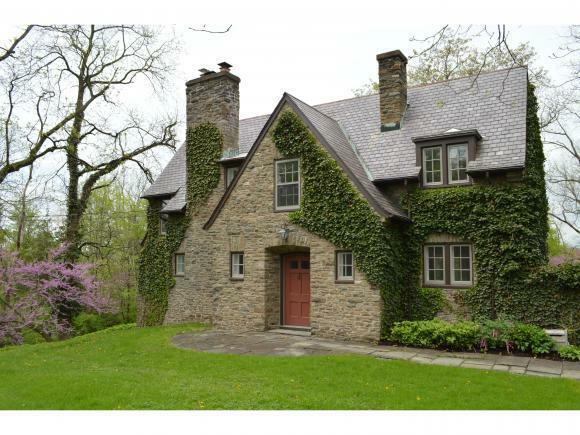 Charming stone "castle" house on beautiful park-like 1 acre lot. Three sunny bedrooms w/additional, fully renovated basement bedroom w/full bath. Located on a quiet street close to Cornell. Hardwood flrs throughout, nooks, built-ins & arches creating so much character! Large Living room w/fireplace. Sun filled family room leads to stone patio to watch the sunsets. Master bedroom w/walk in closet, renovated bathrooms. Sweet powder room on main flr. Efficient kitchen opens to beautiful dining room. Laundry & workshop area in walk out basement. Very special house! Cayuga Heights Elementary Elementary School / Public 6 0.24 mi. Boynton Middle School Middle School / Public 7 0.6 mi. Fall Creek Elementary School * Elementary School / Public 4 1.2 mi. Northeast Elementary School * Elementary School / Public 6 1.26 mi. Dewitt Middle School * Middle School / Public 8 1.35 mi. 634 HIGHLAND Road, Ithaca, NY 14850 is a 3 bedroom, 2.5 bath single family home was sold for $520,000.